Slow down and take a little time to recognize your blessings. What are you grateful for? 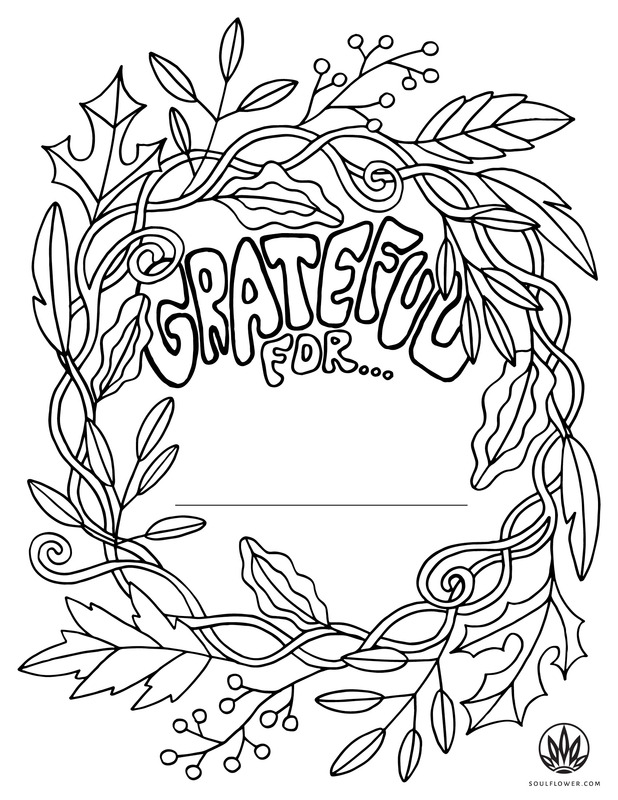 Print out this free Thanksgiving coloring page and let your mind meditate on all the good things in your life. Or use it for a family activity for Thanksgiving – or any day really – it is always a good idea to remember what you are grateful for!If you want to share, we’d love to see your creativity – mention us on instagram @soulflowerbuds or facebook. Happy Thanksgiving Buds! Do you want to color more? 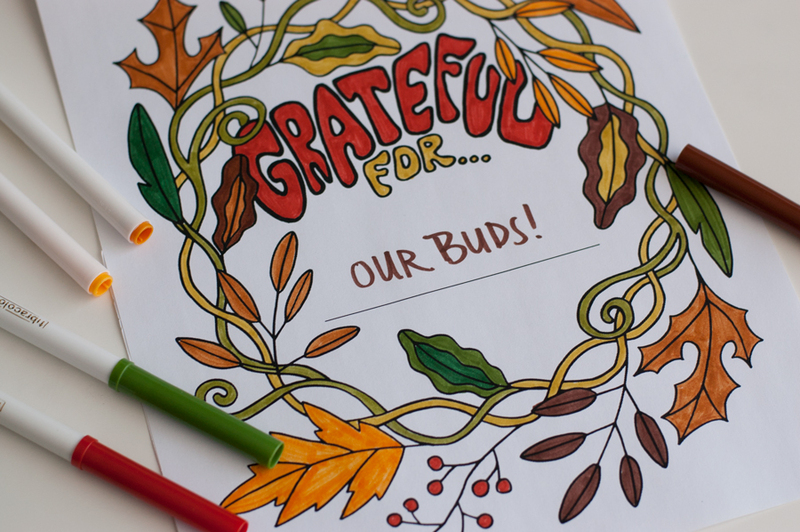 Check out our free Thanksgiving coloring page from last year. Here is Leiah’s take on our coloring page this year – we have to agree, our buds are the best! I am thankful for your product and the integrity and ethics you put behind your name. Thanks to all who take care of and consider what our actions may produce.